Heat oven to 425°F. Brush 15x10-inch nonstick or dark pan with sides with oil. Unroll dough in pan. Bake 6 minutes or until light golden brown. Meanwhile, in small bowl, stir preserves, thyme, 1/2 teaspoon salt and 1/2 teaspoon pepper. Spread preserves mixture over partially baked crust. 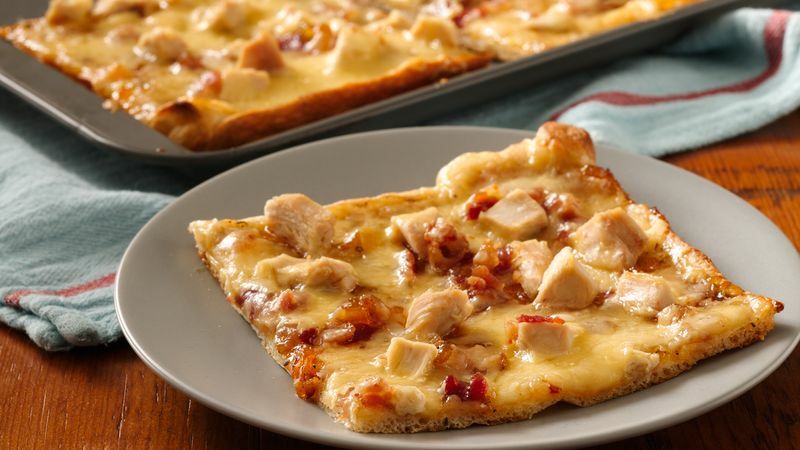 Top with chicken, bacon and cheese. Bake 8 to 10 minutes longer or until cheese is melted and edges are golden brown.